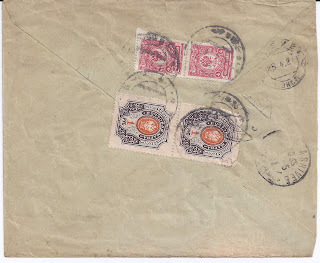 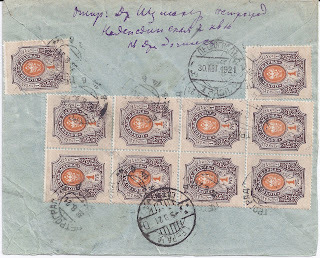 All these covers are franked with Imperial stamps - the new Arts and Industry stamps were not released until August 1921. 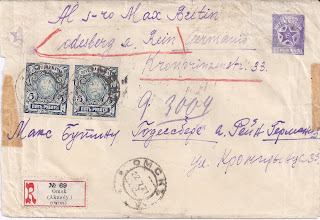 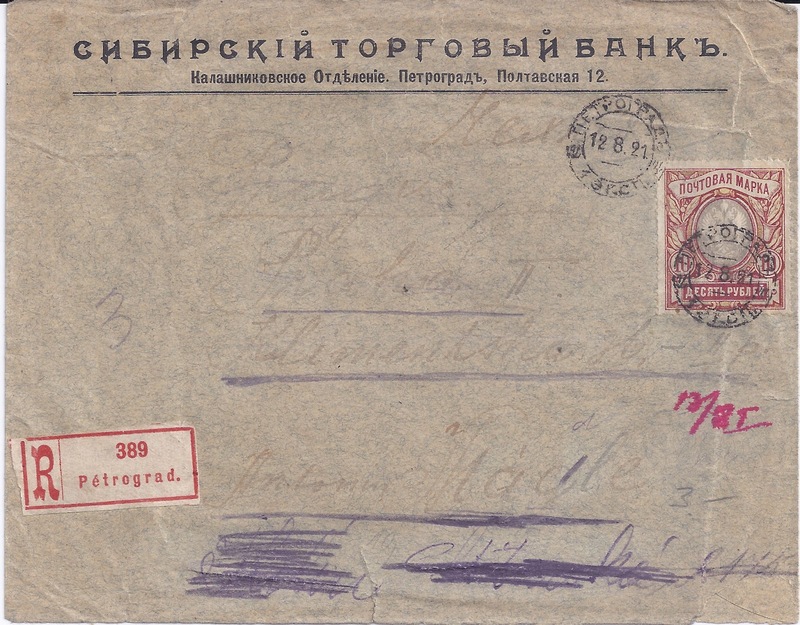 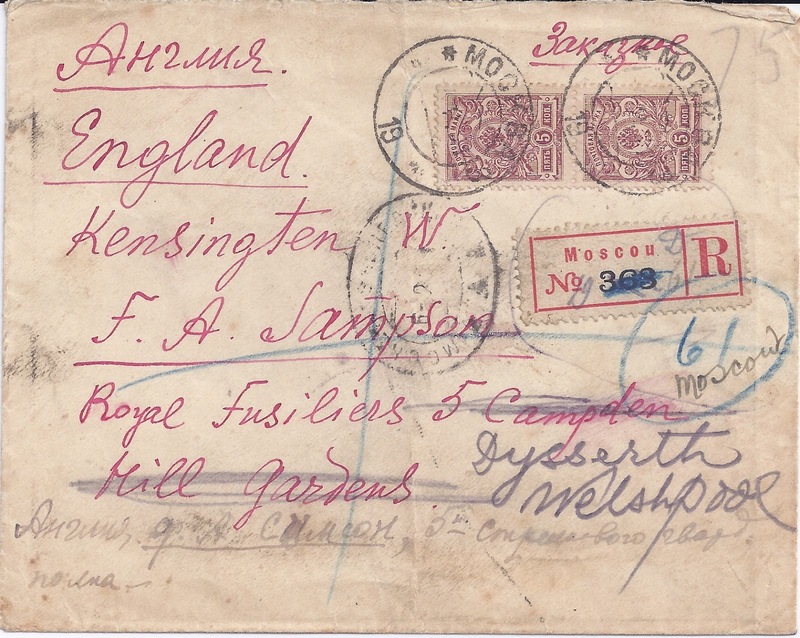 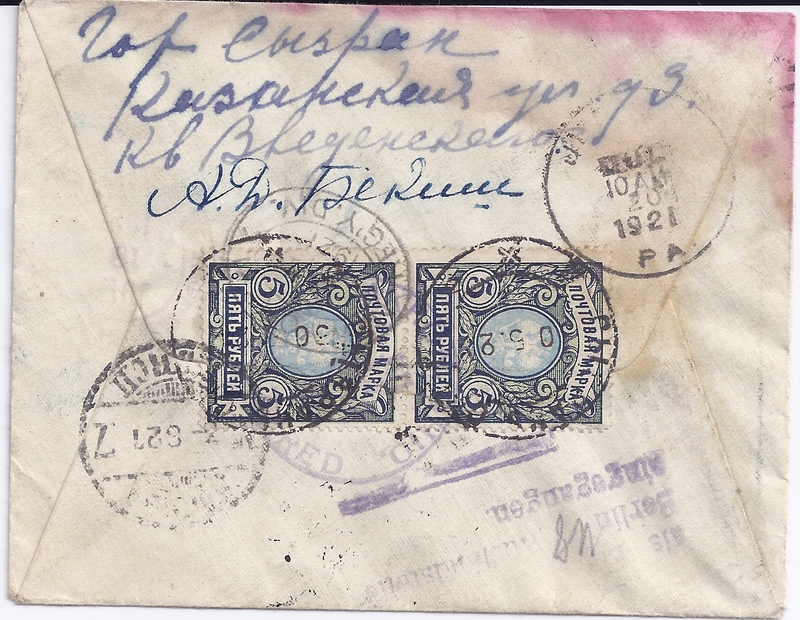 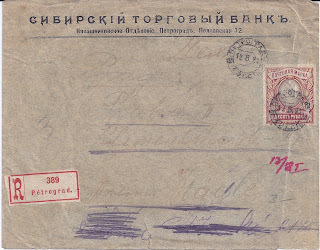 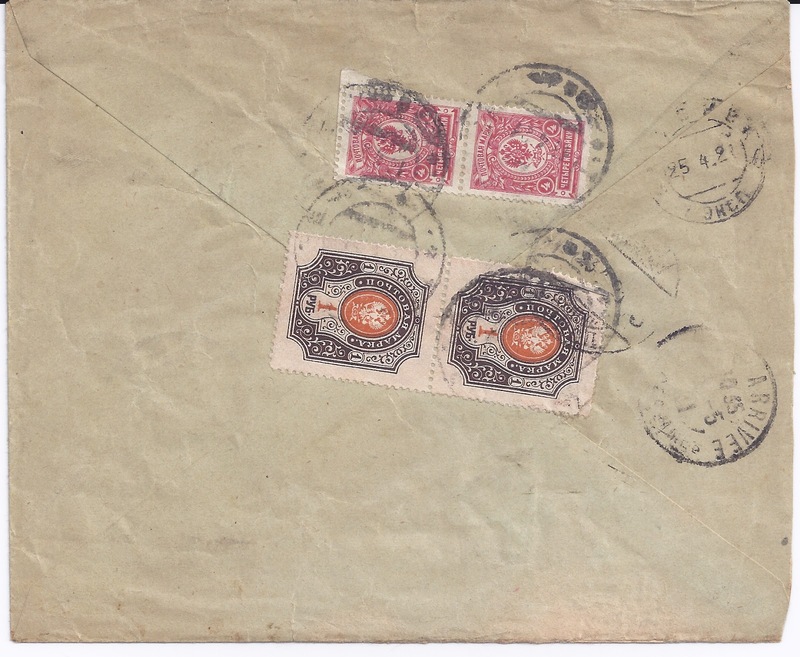 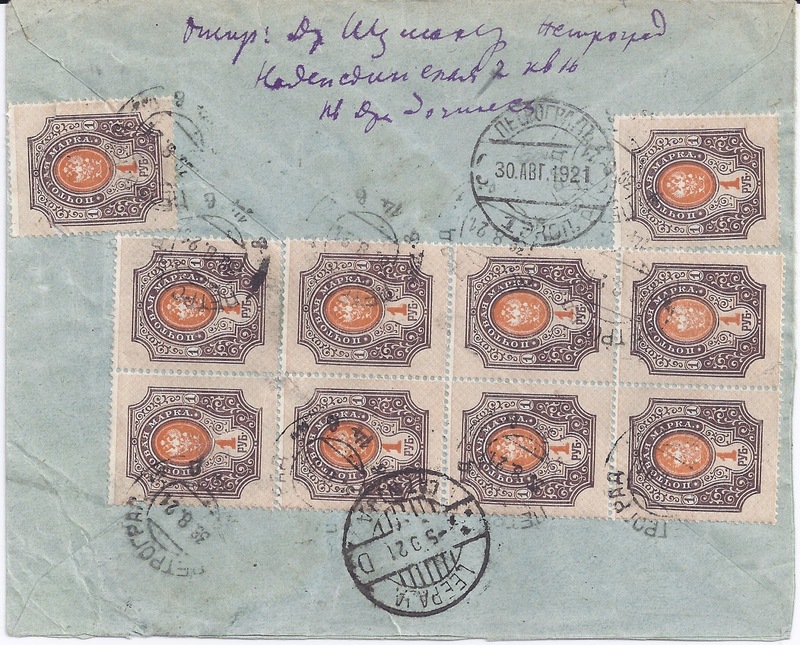 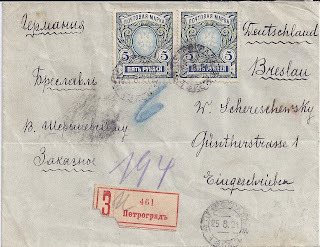 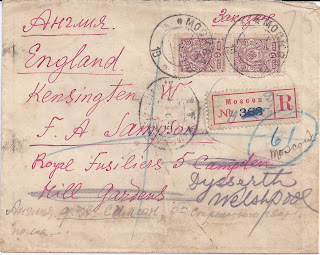 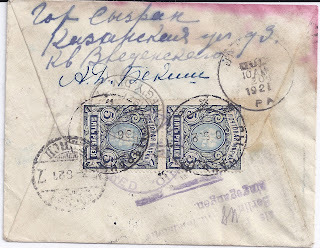 The Omsk cover is franked with imperforate stamps. The last cover is franked with 10 x 1 rouble stamps with horizontal varnish lines.